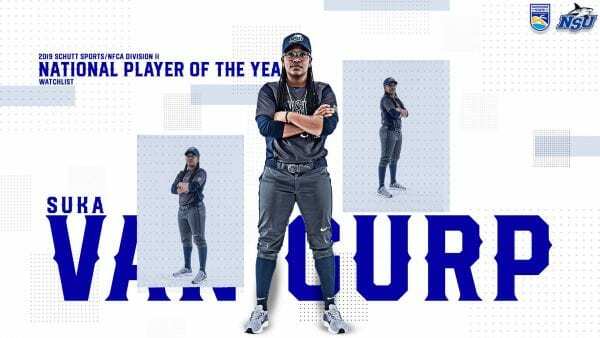 LOUISVILLE, Ky. – Fifty student-athletes from across the country have been selected to the “Watch List” for the 2019 Schutt Sports / NFCA Division II National Player of the Year award, with Nova Southeastern softball’s Suka Van Gurp being one of them. In all, the group consists of 19 seniors, 21 juniors and 10 sophomores, representing 44 programs from 21 different conferences. Freshmen are not eligible for the “Watch List”, but can be considered for the Player of the Year award once they have competed at the collegiate level. It is selected and voted on by members of the NFCA’s Division All-America Committee, consisting of one member coach from each of the NCAA’s eight regions. Spending her first two collegiate years at Palm Beach State College, Van Gurp joins the Sharks after one season at West Texas A&M. 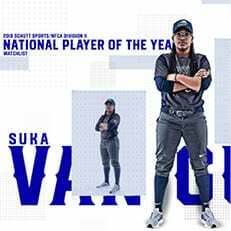 During her 2018 season, she posted a .424 batting average, the best on the team, and a .741 slugging percentage. She tallied 67 hits with 41 RBI and scored 46 times. A power hitter, Van Gurp also recorded seven doubles, five triples and 11 homers. This past weekend at the DII Gulf Shores Invitational, the senior infielder finished with a .211 batting average with a total of four hits and one RBI. Defensively, she made 12 put outs, tied for the second-most on the team, while posting a .875 fielding percentage. 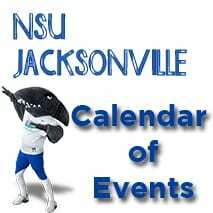 The Sharks will open their 2019 home slate Friday evening with a doubleheader against Emporia State, with the first pitch scheduled for 5:00 p.m.
To view a full release of those selected to the 2019 Schutt Sports/NFCA Division II National Player of the Year “Watch List”, CLICK HERE.